It’s pleasure to see that Nike is putting out such a big variety of budget models to pick from. And the best part is, the majority of them are solid performers or even above solid. DO NOT overwatch budget models, they can nicely surprise you. 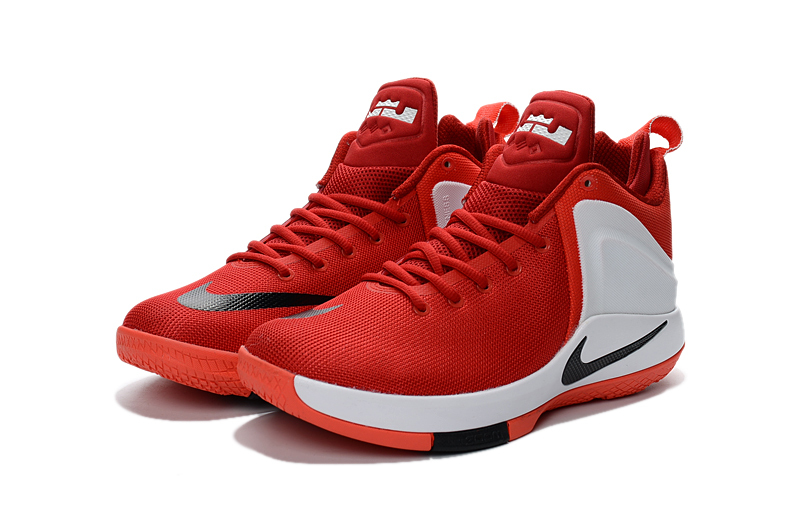 Today we have a not very known sneaker from one of the LeBron’s basketball shoe lines – the Nike Zoom Witness. However, we haven’t seen LeBron wearing these not even once. You will see why in a bit, stay tuned. So let’s see if the Nike Zoom Witness is worth a look! 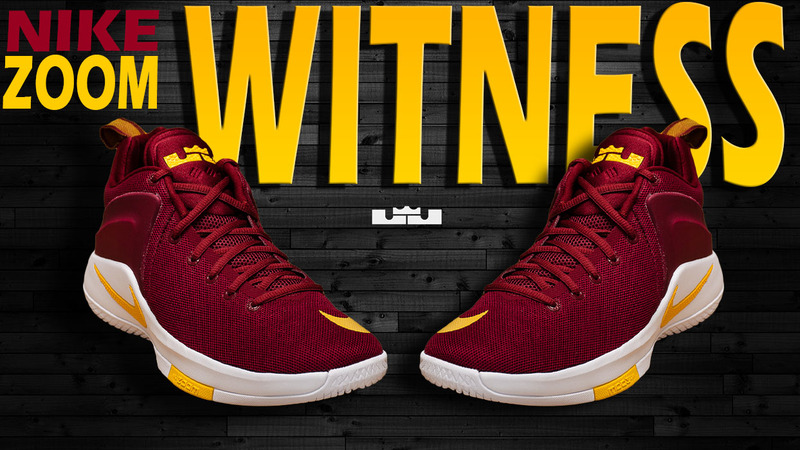 The Zoom Witness features super thin Mesh and soft Fuse combo upper with foam backing for additional support in the heel area. I do really like how they feel on my feet. As I mentioned, Mesh and Fuse combination in the toe area is very squashy & thin, that’s why it offers you plenty of freedom for your toes to move. Also, breathability & lightness is the key aspects in this setup. However, the biggest drawback of this upper is durability. There’s no protective backing in the toe area to protect Mesh from toe drags. So, if you’re going to use them outdoors, it can cause some problems. The ordinary cushion setup for a budget model – Phylon midsole with two small ZOOM Air units in the forefoot area. Personally, it was a disaster to play in them due to extremely firm midsole. The ZOOM Air units did completely nothing in terms of impact protection and softness, even the Phylon midsole was rock solid. I started to feel pain in my feet and knees just after a few hours of playing. Two hours, really?! So, heavier or more explosive players who tend to play under the basket should not even bother to look at this shoe, it’s just not for you. However, if you that player whose main priorities are court feel & mobility, then the Zoom Witness is probably a good choice for you. Still, I think that even for lighter/quicker players this setup is too stiff and can easily cause discomfort and pain after playing longer sessions. 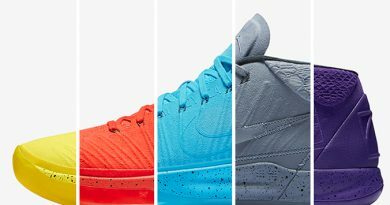 Nike kept that diamond pattern theme as on the LeBron 14 model, of course, it’s a little bit different. To be honest with you, I was very skeptical about this traction pattern from the get go. Surprisingly, it turned out to be a solid part of the shoe. On clean courts you’re ready to ball hard without any problems whatsoever – really solid grip with the floor, nice stopping power and move coverage was on point too. Now, on semi dusty/dusty courts they had some small issues, but it’s nothing too crazy. Just a few additional wipes here or there and you’re ready to again. Also, street ballers are allowed to wear them outdoors since the rubber compound is quite firm. The Mesh upper does provide enjoyable comfort feel & lightness, although, it’s not even close to be as comfortable as having Primeknit or Flyknit on your foot. Though, this is a $100 sneaker so I can’t be mad about this. In the heel area we have a half-length inner sleeve with Achilles pad for that extra comfort. Personally, I didn’t expect to see this kind of feature on a budget model – very surprised. 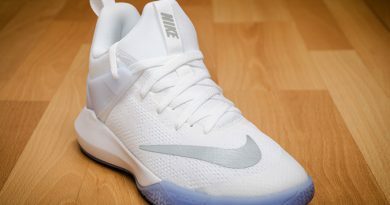 The Achilles sleeve does help to get snugger fit and also it adds more premium feel to the shoe. Talking about sizing, the Nike Zoom Witness fitted me true to size. So if you have a semi wide/wide foot, then you should get a true to size pair too. Now, for a normal/narrow foot owner I recommend going ½ down to reduce unneeded free space in the toe area. I have no clue why the hell Nike decided that it’s a good idea to not put main support features in this model, it just doesn’t make sense. No Flywire cables, no supportive backing, nothing. Oh right, there’s a foam wing which goes all around the shoe’s medial sides and lower heel area. Though, this setup by its own is not capable to deliver enough support for your foot, especially in the forefoot area. In my opinion, this is a HUGE turn off for any type of player. 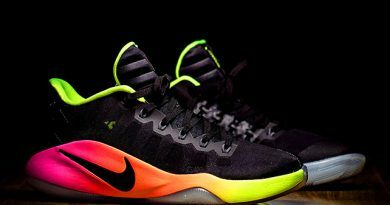 Usually, I‘d say this is another solid bang for your buck performance shoe from Nike, but this time I can’t say that. $100 for these? 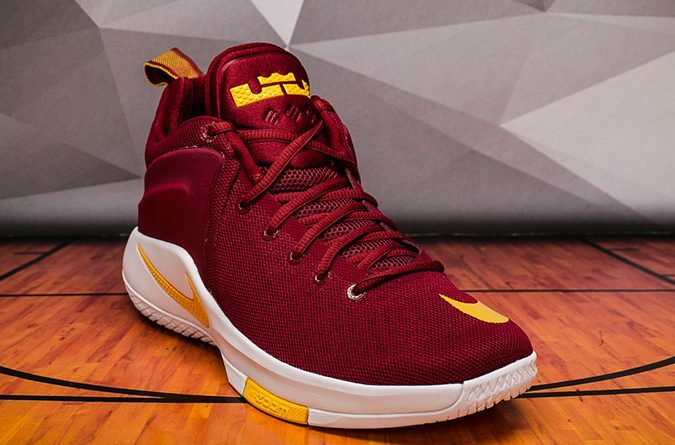 Nah, the Nike Zoom Witness is definitely not worth the price. You can easily find a great performing shoe with solid support features and awesome cushion setup at this price range. 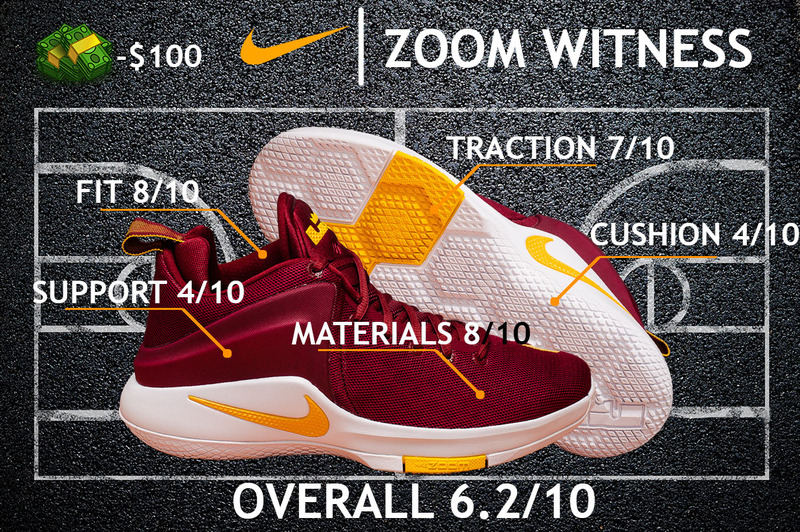 Hope you enjoyed my Performance Review on the NIKE ZOOM WITNESS. ← Best Basketball Shoes for Women – My TOP 10!